Unique centrally-divided One Pager for the multi-talented Terry Loder Creative. The UI features minimal, uncluttered previews of jingles, radio, tv and more. 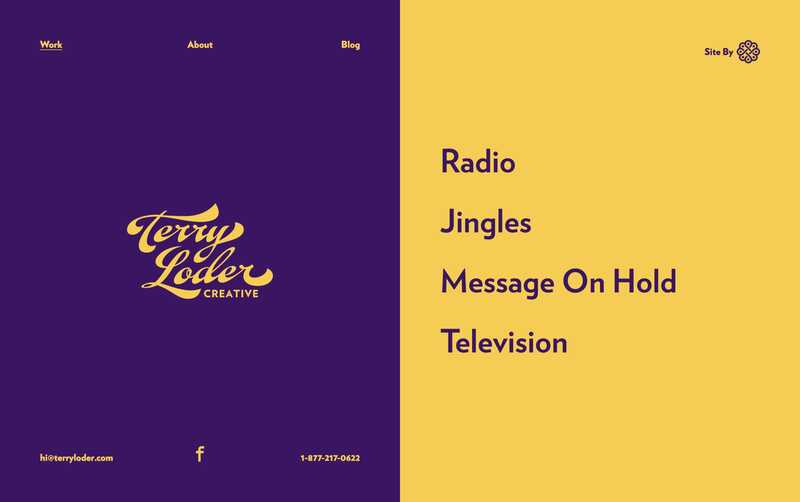 Terry Loder Creative is a full service creative agency.